Catthorpe Manor Estate offers 20 comfortable, beautifully furnished hotel rooms inside the elegant Edwardian manor, each bedroom well equipped for business travel, residential conferences and short-breaks. Bedrooms are located on 1st and 2nd floor with access via staircase. Guests with limited mobility are encouraged to contact reception before making a reservation so that the team can advise on availability. View Special Offers and Short-Break Deals. If you’re celebrating a special occasion or you just feel like treating yourself, our Platinum rooms won’t disappoint. These spacious rooms boast some of the most spectacular views of the surrounding countryside, a King or Super King* bed and a lounge or separate lounge area. *To request a Super King room please contact the Manor for availability. 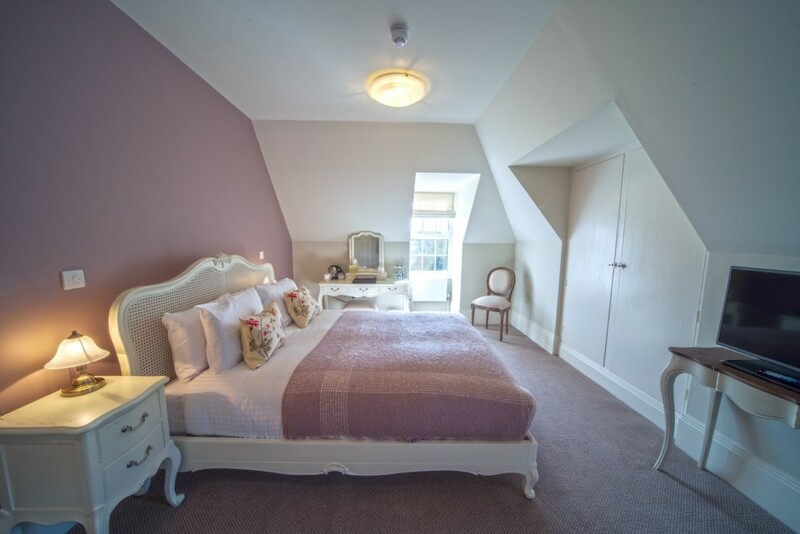 Our Gold King rooms are almost as sizable as the Platinum and all have lovely countryside views. 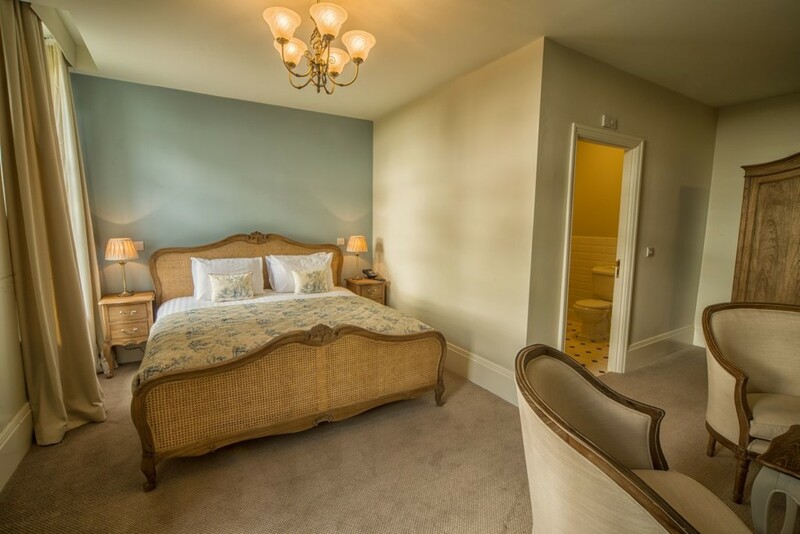 The Gold bedrooms have a comfortable King size bed and some can also accommodate an extra bed, making them perfect for parents travelling with one child. 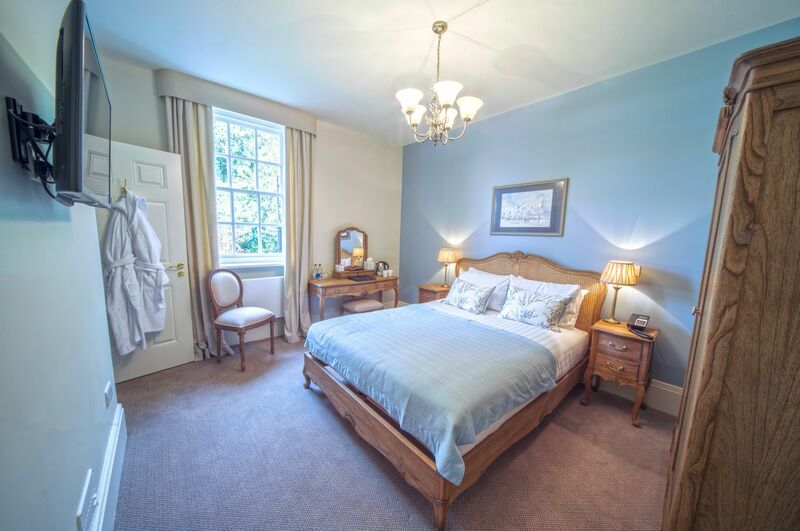 *For an extra-bed please contact the manor for availability. Supplements apply. Extra Bed Available on Request. Silver King Rooms provide the perfect combination of spaciousness and comfort. Offering the same high quality finish as the Gold and Platinum Rooms, yet with a more modest price tag. Some Silver rooms are second floor rooms and, therefore, less convenient for people with restricted mobility. For a first floor Silver King room please contact reception for availability. 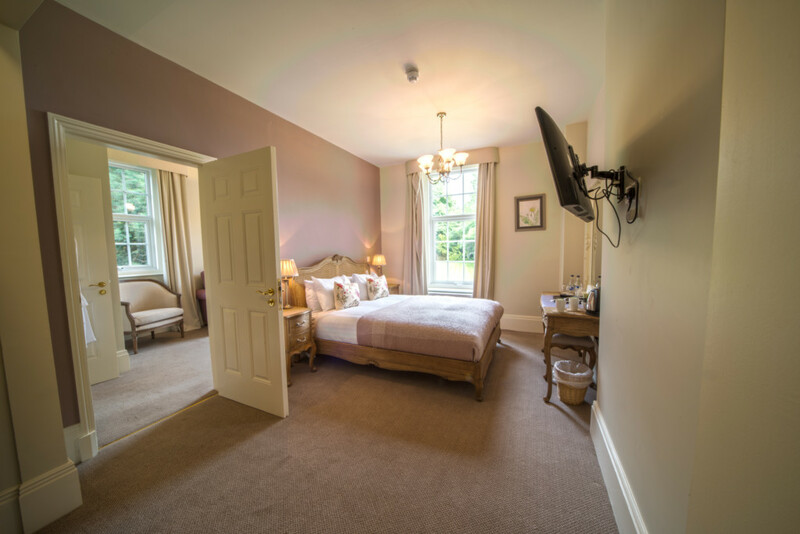 Our most popular room type, the Bronze rooms offer all the facilities of the larger bedrooms and most boast a lovely countryside or garden view. The Bronze Room category also includes our Twin Room and our Single Room. The Twin can be combined with an interconnected Bronze Double to create a very spacious family suite*. *To book a family room please contact reception for availability and rates. Family Rooms & Extra Beds – Some of our larger bedrooms can accommodate families and/or extra beds. Please speak with the reception team who can advise on the best available room for your requirements. Supplements apply. Baths – Some rooms feature a bath tub in addition to the walk-in shower. Please speak with reception before making your reservation if you require a bath as we are unable to guarantee availability of a room with a bathtub via an online booking. Limited Mobility & Wheelchair Access – All the bedrooms within the manor are 1st and 2nd floor and access is via staircase only. There are no ground floor bedrooms. Please notify reception, before making your reservation, if you have limited mobility and the team can advise on availability of 1st floor bedrooms close to the stairwells. With regret, our bedrooms are not wheelchair accessible.